PlayAmo Casino is a new Bitcoin casino site for 2016. 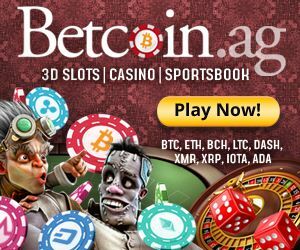 This site uses software from Amatic Industries, BetSoft, Endorphina, Ezugi, Softswiss, and even Microgaming and Net Entertainment, making them one of the few Bitcoin accepting casinos to offer such a vast array of games from some of the biggest developers in the industry. 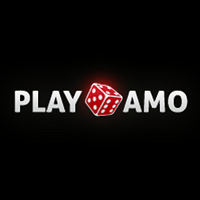 Unlike many other Bitcoin casinos, PlayAmo players aren’t limited to using Bitcoins. This top casino is fully licensed via Softswiss, out of Curacao, and offers you one of the most complete casino gaming experiences on the net, whether you play in their instant play domain, or their mobile casino site. As we’ve mentioned, there is certainly no shortage of quality games for you to play at PlayAmo. You can search for a particular game by title, or you can browse through their various genres to find a slot or table game to play. 3D slots, video slots, progressive jackpot games, new games, popular titles, blackjack, roulette, video poker, and even live dealer casino games are all possibilities at this site. At this moment in time, the hottest games at PlayAmo casino include widely recognised titles such as Dead or Alive, Starburst, Steamtower, Space Wars, Gonzo’s Quest, Jack and the Beanstalk, Creature from the Black Lagoon, Guns ‘N’ Roses, Flowers, and Koi Princess, amongst others. As we’ve said; you are aren’t limited to using just Bitcoins at this casino, even though we’d recommend it. Bitcoins offer you the ability to play anonymously, but understandably they won’t be for everyone. If Bitcoins don’t do it for you, you can choose to deposit using BCH, LTC, DOGE, ETH, VISA, MasterCard, Maestro, Neteller, Paysafecard, Wirecard, Cubits, Lavapay, or Zimpler. With PlayAmo Casino, it really is all about your comfort. Withdrawing is a little bit trickier, since some of those aforementioned deposit options are not available. Even so, Bitcoins, e-wallets, and bank transfers represent a great way for you to take out your cash. Transaction times vary from 1-2 days for Bitcoins and e-wallets, up to 3-5 days for bank transfers. New players at PlayAmo Casino can claim a 125% match deposit bonus worth up to 0.25BTC, or $/€100 when they make their very first deposit as a new player. They will also be treated to 50 free spins on NetEnt’s Steamtower slot, no matter which currency option they choose to play with. A second deposit can see players bag a 75% match worth up to the same amount as the first bonus, and this time players will be treated to 50 free spins on Starburst. Your third and fourth deposits at the casino are worth bonuses, too. 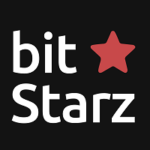 Third deposits can offer you 50% bonuses worth up to $/€100 or 0.25BTC, and 50 free spins on the Lights slot. Fourth deposits are worth smaller matches (25%), but larger sums, with up to 0.50BTC, or $/€200 there for the taking. Players will also get 50 free spins on Attraction. All in all, then, there are offers worth 200 free spins, 1.25BTC, or $/€500 at this casino, as well as special Monday free spin boosts, and weekend bonuses and free games. Playamo bonus code: not required. Live support is hosted at PlayAmo Casino. Using this service is quick, and free. You could also choose to fill out an e-form if you wish, or seek out your own answers via a FAQ (frequently asked questions). Personally, though, we’d always recommend the live chat, since it is not only the fastest, but also the most efficient way of obtaining support. PlayAmo Casino really is a global Bitcoin casino. Everything is about customisability and comfort. 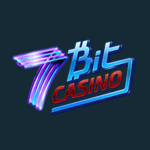 You can not only play in English, German, or Swedish at this casino, but also opt to wager in Bitcoins or not, play a huge selection of your favourite games from various developers, and play from many regions (barring the USA). 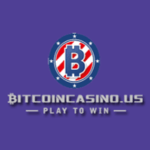 This is easily one of the finest Bitcoin casinos you can play at, even if you don’t wish to use Bitcoins as your currency of choice.